OVER THE PAST three decades, scholars of the Middle East have learned to avoid the very real pitfall of depicting Muslims as enigmatic Oriental “Others.” But it is impossible to escape the fact that most Occidentals will find both the subject and the setting of Laurent Bonnefoy’s new book unfamiliar and confounding. Indeed, Salafism in Yemen, which was researched and for the most part written before the Arab Spring, aptly deals with topics that are incredibly relevant for understanding a region in transition. Salafism in particular has become increasingly important to grapple with in the wake of the Arab uprisings. Like other forms of Islamism, it is a revival movement that calls for the return to a purified Islam. Unlike other Islamists, however, Salafis completely reject modern political systems and ideas. Most non-Salafi Islamists, despite their use of Islamic idiom, infuse political ideas that originated in Europe into their ideologies. Thus Iran is an Islamic “Republic”; the Muslim Brotherhood speaks the language of “democracy” and “human rights”; Hamas and Hezbollah rail against “imperialism.” Salafis, on the other hand, insist that their creed is based solely on the Koran and the example of the Prophet Muhammad. Since none of those concepts and terms is found in the Islamic (or Christian or Jewish) canon, Salafis discard them. They argue, quite unabashedly, that a republic is by its nature anti-Islamic; that women and religious minorities are not equal to Muslim men; that democracy is a Western heresy, and so forth. For those accustomed to the intellectual contortions of the Muslim Brotherhood, Salafi arguments can be oddly refreshing. There is no need to decipher their rhetoric or peel back the political spin. They say what they think, and unapologetically. Historically, these views have typically pushed Salafis in two directions. A minority has joined various jihadi organizations such as Al Qaeda, which hope to eradicate all modern political systems and those that participate in them. But the vast majority of Salafis have tended simply to withdraw from politics. They oppose voting and democracy on principle. And though they often consider their states and political leaders illegitimate, they also embrace quietism and have been wary of the chaos and anarchy that rebellion might bring. More recently, however, the Arab Spring and the freely contested elections that accompanied it have severely challenged this quietism. For many Salafis, the prospect of fair elections raised several practical issues for the first time. If a Salafi managed to gain real power, even if it was through illegitimate elections in an illegitimate state, couldn’t he do some good? Wouldn’t it be better to at least prevent the secularists and infidels from taking control? In the end, the lure of power proved too great, and Salafis, like their fellow citizens, flocked to the polls. Indeed, Salafi electoral successes have been one of the biggest surprises of recent elections. In Egypt, they won 27 percent of the vote. For Western observers and Arab secularists, this has increased both interest in Salafism and anxiety about the future of Arab politics. Since Salafism has its origins in—and is widely acknowledged as—the official creed of Saudi Arabia, conventional wisdom has tended to associate it with Saudi state power. In this view, Saudi officials actively promote and fund Salafism abroad to increase Saudi soft power and to gain leverage in regional politics. Indeed, several wealthy Saudis have financed Salafi sheikhs and religious centers all over the world. Moreover, Salafis outside Saudi Arabia are easily identified by their distinctive Saudi style of dress. Western and especially “realist” tendencies to view the nation state as the only important political actor in international relations have reinforced the view that Saudi state interests explain the spread of Salafism outside Saudi Arabia. Bonnefoy’s book is an assault on this view. Through years of on-the-ground field work in the remote corners and mountain towns of Yemen, he was able to integrate himself into, and thereby study, the country’s Salafi movement. This was no small feat. Yemen is an underdeveloped and harsh country. Salafis can be inhospitable and even hostile to outsiders, especially non-Muslims. Bonnefoy’s persistence and eventual success in penetrating this closed world should be commended. Moreover, the insights he gained through combining his fieldwork with academic study of Salafi texts and Yemeni politics makes for a very persuasive argument. His primary thesis is that Salafism is a transnational movement not wedded to any particular nation state. Thus, Yemeni Salafis are not simply an arm of Saudi policy, as some have suggested. Indeed, Yemeni Salafis often oppose Saudi policies and are extremely critical of the Saudi royal family. Moreover, unlike the Muslim Brotherhood in Egypt, Hamas in Palestine, or the Islamic Republic in Iran, which are in many ways tied to the nation state system (by law the president of Iran must be Iranian, for example), Salafis see Islam as universal. They reject all forms of nationalism as well as the very idea of a nation-state. In that sense, Bonnefoy’s argument should have been obvious. How could a movement that rejects the idea of a nation state be irrevocably bound to one? Salafis are transnational, in that they operate and travel within transnational networks formed by Salafi scholars and centers of learning in numerous states. The proper way to understand Salafism, Bonnefoy maintains, is not through the prism of the nation-state, but by understanding how a transnational movement integrates into a local environment. For him, the environment is the rough mountainous terrain of Yemen. Yemen is one of the most underdeveloped states in the Arab World. In 2010, nearly 50 percent of the population was illiterate, 30 percent was unemployed, and 35 percent lived beneath the poverty line. The harsh terrain and the lack of resources have kept the state weak and the population removed from some of the wider trends of the Arab and Islamic worlds. Obscure sects, long dead in other parts of the Islamic world, have survived in Yemen and created a unique political landscape. Until the 1960s, for example, northern Yemen was ruled by a divinely inspired Zaydi Imam who acted as a type of priest-king. Paradoxically, while Salafis consider these Zaydi communities heterodox or worse, many of the most important Salafi scholars were born into the Zaydi tradition and then “converted” to Salafism as adults. This has created tensions between the groups and has further radicalized each side. This landscape, both physical and political—alongside the weakness of the state—make Yemen an important stronghold for jihadi Salafism. In 2009, the Saudi and Yemeni branches of Al Qaeda merged to form Al Qaeda in the Arabian Peninsula (AQAP). In reality, however, this merger was the result of Saudi jihadis fleeing Saudi security forces to the uncontrolled areas of Yemen. Salafis of all stripes like to cite the Prophet Muhammad’s statement, “If things fall into disorder, you still have Yemen,” the idea being that the weak state and rugged terrain will make Yemen a refuge. Hence, for the foreseeable future, Yemen will undoubtedly remain an area of concern for terrorism specialists and Western policymakers. Bonnefoy’s methodology, however convincing, can be problematic. No amount of perseverance or willingness to live in remote areas enabled him to find, let alone live with, jihadis in Yemen. They are by nature secretive. If one of his interlocutors had held jihadi sympathies, he probably would not have advertised it. 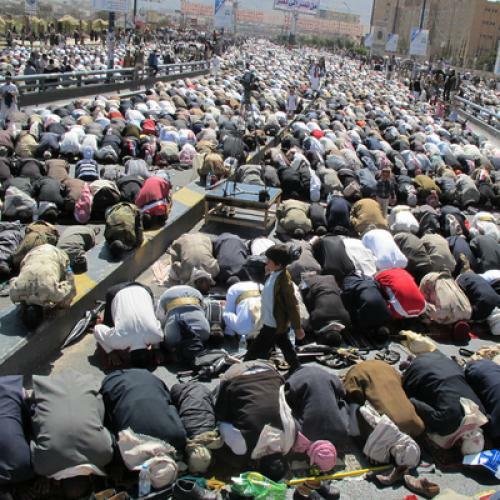 Throughout most of Salafism in Yemen,jihadis simply do not exist. In the last section of the book, where Bonnefoy does discuss them, he is forced to rely on standard published sources, rather than on a first-person account. This not only breaks up the narrative, it also creates an artificial boundary between the quietists and the jihadis. The line between the two groups is porous. The difference between quietists and jihadis is not one of core beliefs. They both understand the current state of affairs as an abomination. The question that separates them is what should be done about it. Often Salafis waver on this issue at some point in their life. Quietist Salafis can, and do become jihadis, and vice versus. This dynamic is mostly missing from Bonnefoy’s work simply because he had no way of accessing it. But Bonnefoy’s over-arching argument is sound and increasingly important. Salafism is not simply a product of Saudi policy, and it is difficult to understand through the prism of the nation-state system. In the West we have internalized concepts such as state, nation, borders, and sovereignty, but on the Arabian Peninsula these concepts are often muddled. Until recently, the border between Saudi Arabia and Yemen on most maps was a dotted line. It remains a grey area for most of the nearby residents. In that sense Bonnefoy’s book does a fine job of breaking down of Western biases and goes some distance toward accomplishing his goal of “rescuing history” from the nation-state.